Encapsulated and graded GEM MINT 9.5 by BGS, with signature graded "10" by Beckett. Rookie Card. 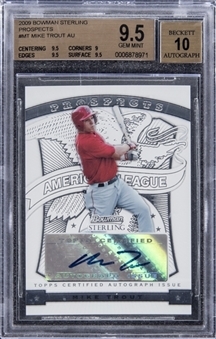 Here's a much-treasured, hard-to-find commemorative – of a player who's clearly destined for the highest measure of stardom – bearing Trout's vivid, blue ink signature on its front. A logo on the card's obverse declares, "Certified Autograph Issue," attesting to the authenticity of the signature and serving as Topps' COA. 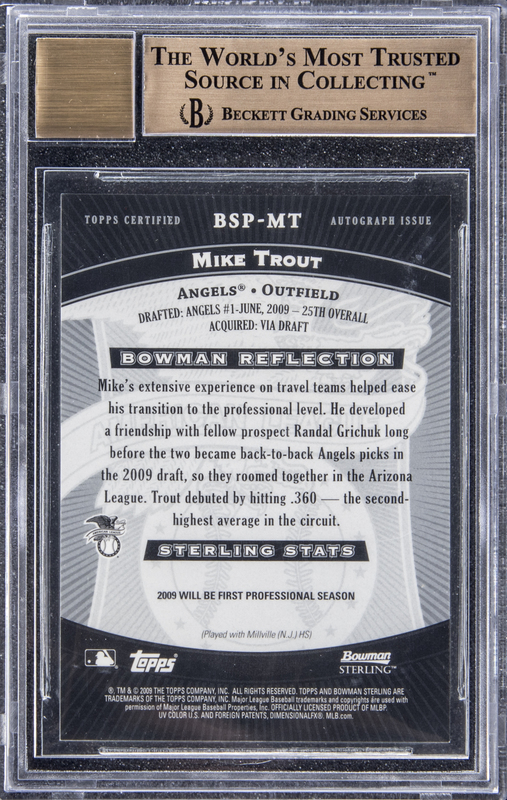 The card's BGS condition report: Centering: 9.5, Corners: 9, Edges: 9.5, Surface: 9.5. Gem Mint condition.